The 2016 Come Home to Lakewood House and Garden Tour takes place Sunday, Sept. 11. Don’t miss the 2016 Come Home to Lakewood House and Garden Tour, Sunday, September 11, from 1 to 6 p.m., presented by the Lakewood Historical Society. The eagerly-anticipated tour features eight residences, a stunning perennial garden, one of Lakewood’s last remaining carriage houses and the Nicholson House, Lakewood’s oldest frame residence. 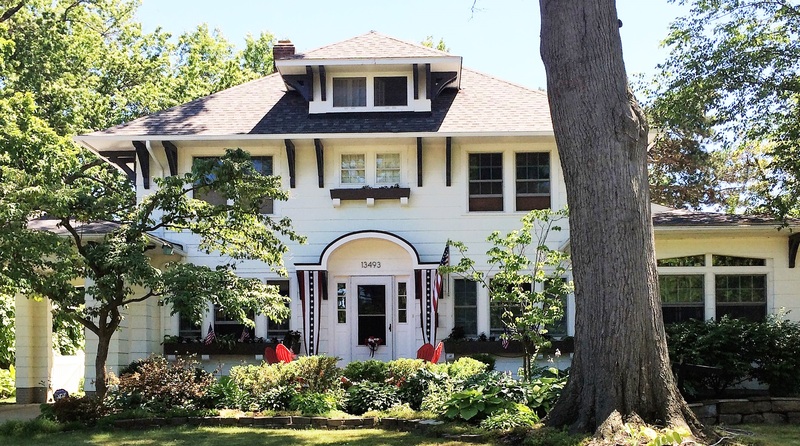 The tour is a celebration of Lakewood’s diverse housing population and includes outstanding examples of Tudor, Colonial Revival, Arts and Crafts, Queen Anne Victorian, Prairie and Craftsman architectural styles. Each home has contemporary upgrades that honor the integrity of the original architectural design. Begin your House Tour weekend at the Patron Party Saturday, September 10, at 6 p.m. The Patron Party house, not on Sunday’s tour, is a grand Colonial Revival featuring three gabled dormers. Enjoy food, beverage, entertainment, a silent auction and the Instant Wine Cellar raffle. Patron Party tickets are $75 and include a ticket for Sunday’s tour. They and the $25 general admission Home Tour tickets, can be purchased online at lakewoodhistorymuseumstore.com; at the Oldest Stone House, 14710 Lake Avenue by mail or during business hours. For more information, call the Oldest Stone House at 216.221.7343.